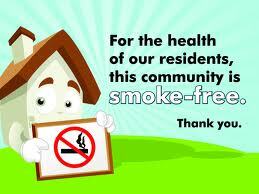 Ninety-two percent of renters in Washington State have indicated that they prefer smoke-free housing. As a response to more landlords choosing to convert their buildings to smoke-free properties, the Washington Department of Health created some helpful resources for landlords and tenants to make this change, called SmokeFreeWashington.com. Living in an apartment building where the smoking policies are not clear or are not enforced can be frustrating at best. The landlord-tenant laws do not specifically address smoking policies. These policies are generally included in a rental agreement. If a landlord has designated the property as smoke-free, then they would be responsible for enforcing the policies that are in place. However, it can be frustrating when those policies aren’t enforced and there is secondhand smoke in a non-smoking building. Our Tenant Services website has some tips and suggestions for working with roommates or neighbors in these situations on our Roommates & Neighbors webpage. In order to make a policy change in an apartment or rental unit, as with any rule change, a landlord must provide at least 30 days’ written notice to tenants who have a month-to-month agreement (where there is no fixed time period connected to the contract). With a lease agreement which has a fixed time period attached to it, such as one year or six months, a landlord cannot make any policy or rule changes during the lease period. However when the lease term is up, for example at the end of the one-year contract, a landlord can institute a policy change such as converting a building to non-smoking. If you would like to talk to your landlord about smoking policies, or if you are a landlord considering a change, check out these videos, sample letters and resources related to making your building smoke-free: www.smokefreewashington.com. The e-learning course for landlords, owners and residents provides information about the business and health benefits of going smoke-free, and how to do so. The course includes easy-to-use sample downloadable documents to support the implementation process. If you are a person with a disability and experiencing health problems as a result of secondhand smoke, you may consider contacting a local civil rights office to ask about Fair Housing laws and requesting a reasonable accommodation. For information on how to contact your local civil rights office, see our Renters’ Resources page. For more information, check out the resources available on our Tenant Services website on Rental Agreements, Rule Changes and Neighbors & Roommates. You can also call our Tenant Services Line to speak with a tenant counselor about brainstorming ways to resolve your situation. The phone number is 206.694.6767 and the line is open for messages on Mondays, Wednesdays and Thursdays from 10:30am-4:30pm. Want to know more about your rights as a renter? Wondering how to get your deposit back or request a repair? Would you like to know how new changes in the laws impact renters? Solid Ground Tenant Counselors are hosting another FREE Rent Smart Workshop for the community on Monday, June 10, 4:30pm-6:30pm, in Federal Way at the Multi-Service Center Conference Room (1200 S. 336th, Federal Way, WA 98003). 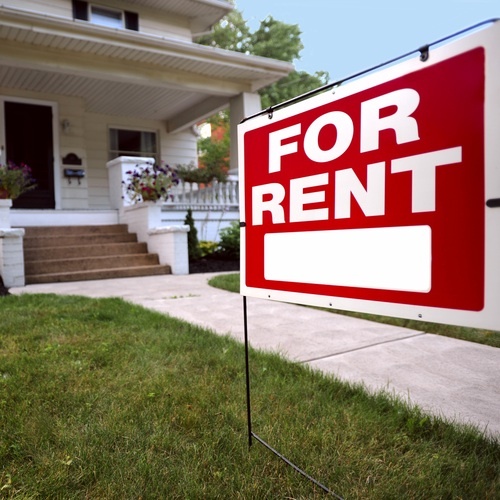 We’ll provide information about landlord-tenant laws in Washington State and discuss the laws and ordinances that apply throughout the housing search process, move-in, during tenancy, move-out and eviction. Bring your questions! Since there is no agency that enforces the Residential Landlord-Tenant Act in our state, it is largely up to tenants to understand the laws and know their rights in order to take appropriate action to effectively enforce them. We’ll talk about some tips and best practices for renters to help you assert your rights and have a successful tenancy – whether you are signing a rental agreement, requesting repairs or have questions about your privacy rights. Especially with recent changes and additions to the laws, challenging situations can arise for tenants. For example, the laws around tenant screening changed in 2012 and 2013, requiring landlords to provide written notice of their screening criteria before they screen a tenant that has applied for housing (see our Tenant Tip from March 2012 for more information). If a tenant is unaware of this law or the changes, they could be unfairly denied housing without knowing why. There are remedies available to tenants if a landlord is not complying with the laws, but tenants have to know those remedies are available in order to use them. Knowing the laws and what steps to take, tenants can take action to correct the problem. If you are a tenant or service provider and would like to attend the workshop, please RSVP to our Tenant Services Workshop & Advocacy Line at 206.694.6748 or email tenantwa@solid-ground.org. We are also available to provide workshops to organizations and groups throughout King County free of charge. Please contact us at 206.694.6748 if you are interested in scheduling a workshop for your agency or community group. For more information, visit our website at www.solid-ground.org/Tenant. We look forward to seeing you on June 10th! The tenant information contained in this article or linked to the Solid Ground Tenant Services website is for informational purposes only. Solid Ground makes no claims, promises or guarantees about the accuracy, completeness or adequacy of the information contained in or linked to its website. Solid Ground cannot act as your attorney. Solid Ground makes no representations, expressed or implied, that the information contained in or linked to its website can or will be used or interpreted in any particular way by any governmental agency or court. As legal advice must be tailored to the specific circumstances of each case, and laws are constantly changing, nothing provided here should be used as a substitute for the advice of competent counsel. Solid Ground Tenant Counselors offer these tenant tips as generalized information for renters. People with specific questions should call our Tenant Services hotline at 206.694.6767 Mondays, Wednesdays & Thursdays between 10:30 am and 4:30 pm. In Evictions in Clean & Sober Housing (Part 1), we explained some of the requirements and the specific evictions process for tenants living in clean and sober housing in Washington State. Current legislation does not provide strong protections for these tenants, so in Part 2, we’ll address some of the barriers they face. In the 2013 legislative session, there was an effort by certain housing providers to introduce legislation to make it faster for landlords of clean and sober housing to evict tenants. Because the evictions process for this type of housing is already speedy under current law, the new legislation would have put these tenants at great risk of losing their housing. But through a collaborative open dialogue to discuss the implications of changing the current law regarding evictions in clean and sober housing, the proposed legislation was not introduced and will not move forward this legislative session. 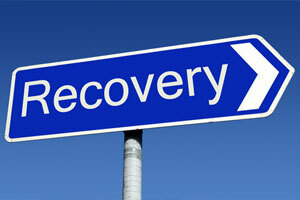 Stable housing is critical in helping individuals in recovery get back on their feet and be able to support themselves. However, housing promoted as “clean and sober” or “recovery housing” varies widely in the types and levels of services and support offered to the residents, because current Washington State law does not require regulatory monitoring of these types of housing. Also, it is common for various individuals living in clean and sober housing to be at different stages of drug or alcohol recovery. In situations where individuals break the housing rules by using drugs on the premises, it can be challenging for landlords to protect the other residents so that recovering addicts are not put in vulnerable situations with drugs present in their living environment. Many housing providers who offer clean and sober housing do comply with the laws and meet the guidelines of chemical dependency professionals working with individuals in recovery programs. However, there are also landlords who do not comply – specifically with the required evictions process. In some cases, tenants are not given the proper eviction notices required by law and then face the risk of housing loss in a very short amount of time without due process. Under the current statute, tenants in these situations can be given a 3-day notice with only one day to comply or be evicted. The current evictions process in all types of rental housing is speedy, but even more so in clean and sober housing where the time window for tenants to be in compliance is only one day. While this allows for housing providers to maintain the health and safety of tenants in recovery housing by immediately addressing problems with tenants who are not complying with the rules, it can be problematic for tenants who relapse and require more support. Because many individuals who live in clean and sober housing can be required to serve jail sentences if they violate their court-ordered requirements, stable housing is critical to address drug addiction issues through services and alternative community programs, not jail time. Relapsing tenants should be given chemical dependency counseling and access to legal services so they can be well-informed and able to address a notice of eviction, but access to free services is very limited and often contingent on funding of community programs. For these reasons, it is crucial that the clean and sober housing evictions process not be sped up, as this would only create further barriers for individuals who are working towards making life changes from drug addiction. Solid Ground Tenant Counselors are hosting a FREE Rent Smart Workshop for the community on Tuesday, April 2, 5-7pm, at the Douglass-Truth Library Conference Room (2300 E. Yesler Way, Seattle, WA 98122). We’ll provide information about landlord-tenant laws in Washington State and discuss the laws and ordinances that apply throughout the housing search process, move-in, during tenancy, move-out and eviction. Bring your questions! Especially with recent changes and additions to the laws, challenging situations can arise for tenants. For example, the laws around landlord entry and privacy rights changed in 2011, requiring landlords to provide written notice before entering a tenant’s unit (see our Tenant Tip from September 2011 for more information). If a tenant is unaware of this law or the changes, their privacy rights could be compromised. There are remedies available to tenants if a landlord is not complying with the laws, but tenants have to know those remedies are available in order to use them. Knowing the laws and what steps to take, tenants can take action to correct the problem. We look forward to seeing you on April 2nd!